Cocoon cold feet in warmth and comfort with these ultra-soft slippers. 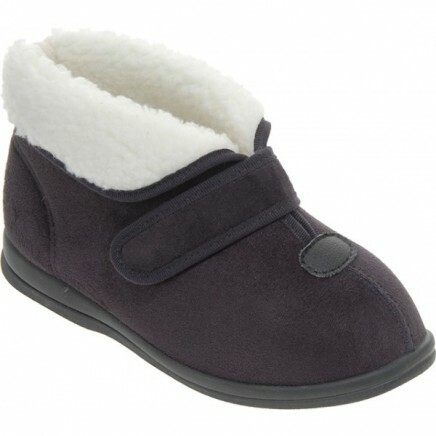 The snuggly lining and bootee design are warm and insulating, ensuring feet and ankles stay cosy. The velvety, breathable upper gives a luxurious look and feel while the leather detail detail adds a stylish touch. Supportive back for stability. Turn up to collar for extra warmth at the ankle. Removable, warm cushioned footbed for a flexible fit.